Meal times just got a whole lot more… illuminating, thanks to Amalfi. Light up your life and your dinner table with this Shimmer Placemat, designed with a gorgeous metal surface stamped with a symmetrical floral pattern that will suit any table setting. It’s simple yet complex, polished yet understated, and will surely draw the attention of your dinner guests. A velvet-like material lines the underside of this placemat, ensuring that your table surface is protected as well. Set your table with Amalfi, and dine in natural elegance. 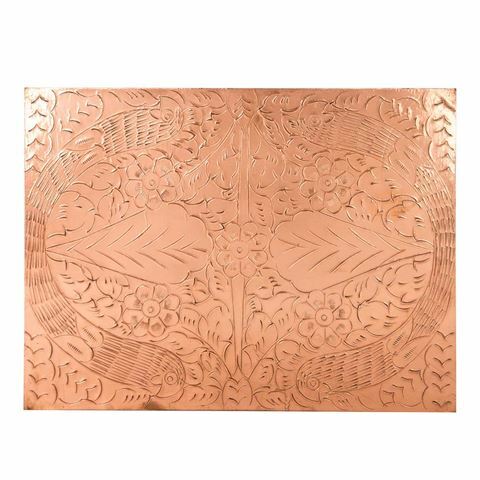 Made with a stamped metal surface. Velvet-like lined underside to protect table surface.